You have not really taste Malaysian food if you haven’t taste the Malay traditional food. And if you are in Melaka, then you haven’t visit Melaka if you haven’t taste the Asam Pedas. There’s a restaurant here that we would really recommend. 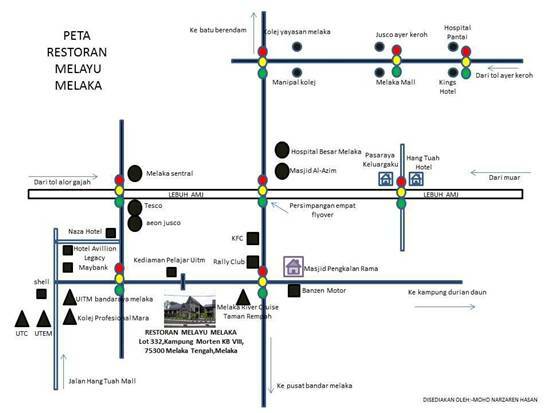 It serve traditional Malay food plus Melaka’s favorite – Asam Pedas. On weekends there are about 10 types of asam pedas menu being served, but don’t worry, western food are also available from their grilled menu. 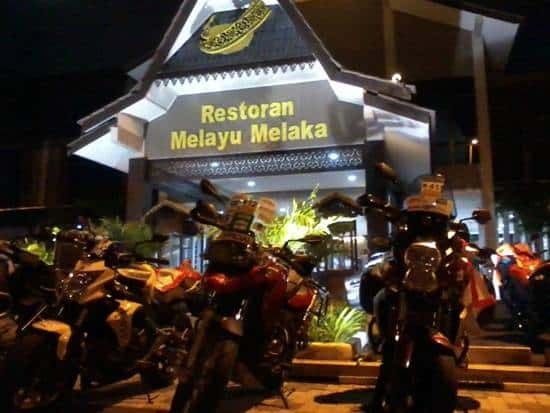 Restoran Melayu Melaka or if translated in English as Melaka Malay Restaurant is the restaurant that you must visit. 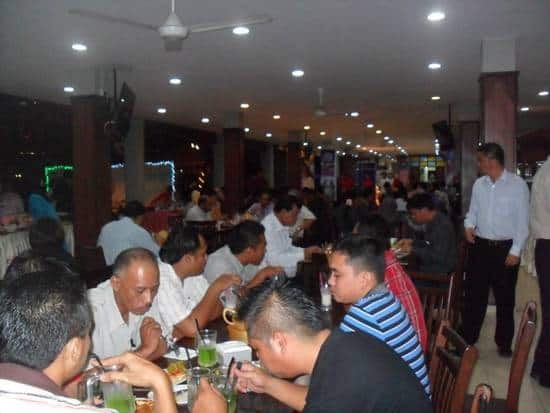 The restaurant is well known to Melaka citizens and local tourist because of its unique building design and also its tasty meals. From outside, the restaurant is designed like a Malay traditional house, but it’s all modern on the inside with Malay Palace styled ID. This restaurant is situated very near to one of Melaka’s tourist spot, the Melaka River Cruise, and in front of UiTM Melaka town branch hostel. It is always full during the weekends especially when family members visit the students studying at UiTM Melaka. A buffet lunch package is only about RM15 per person and some of the crowd favourites menu includes assam pedas daging tetel, asam pedas pari and many more. Check out their Facebook (link at the bottom of the post) frequently as they always have special offers for buffet lunch. Don’t worry, customers could also order a la carte. Serving more than 100 Malay delicacies in their buffet and a la carte menu every day. A Malay palace style decoration in their restaurant. Have some small stalls which houses a variety of foods. Serving Malay delicacies from other states in certain promotion. 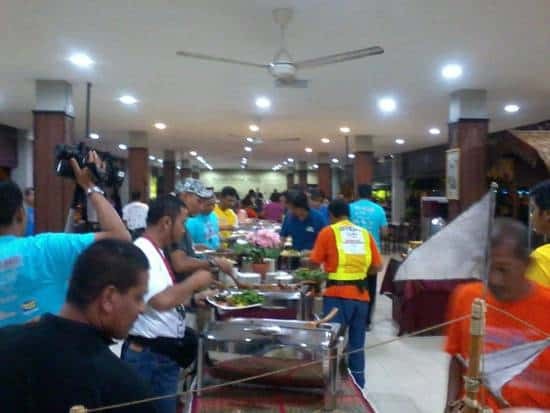 Tables will be placed along the Melaka River beginning at 6 pm to observe the beauty of the river and panoramic views of the illuminated light of Kampung Morten. They also serve special dining set package such as dining set, BBQ, wedding, school banquets, corporate banquet and many more exclusive package. Their capacity is about 940 including 500 on the ground floor and 440 chairs for main hall. Should have posted a few pics of the Restaurant’s external views, both by day and by night.